Rick Wershe’s struggle to win freedom after 27 years in prison for a non-violent drug possession conviction when he was a teen has entered a new battleground. It is now before the Michigan Supreme Court. This all started with a decision this past summer by Wayne County Circuit Court judge Dana Hathaway to re-sentence Wershe. She is now his case judge. Thomas Jackson, the judge who presided over Wershe’s 1988 drug trial, retired. 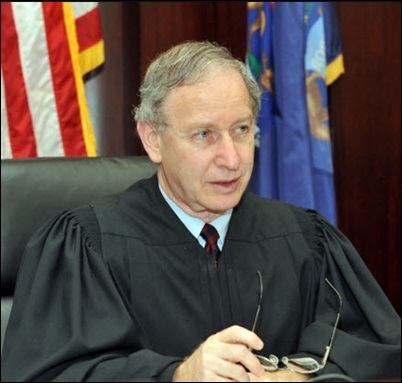 The Wayne County Prosecutor opposed the re-sentencing and appealed to the Michigan Court of Appeals, which sided with the prosecutor on a legal technicality. Now Wershe’s attorneys have taken the issue to the Michigan Supreme Court. To avoid the appearance of impropriety, Michigan Supreme Court Justice Stephen Markman should recuse himself from this case. Judges sometimes recuse or remove themselves from a case to avoid the appearance of a possible conflict of interest. The reason Justice Markman should recuse himself from the Wershe appeal that is now before the Michigan Supreme Court is simple and clear. Markman was the U.S. Attorney for Detroit when his team of prosecutors and FBI agents relied extensively on the clandestine work of Rick Wershe to win convictions in Operation Backbone, one of the biggest Detroit police corruption cases of modern times. What’s more, Justice Markman was Detroit’s U.S. Attorney when DEA agents went to see Wershe in prison and pleaded with him to testify before a federal grand jury investigating the deadly deeds of Best Friends, a murder-for-hire gang in Detroit. Wershe agreed to cooperate with the DEA and the Detroit U.S. Attorney’s office. He was transported to Detroit from a prison in Phoenix where he was in federal protective custody because of his pivotal role in helping Markman’s office win the convictions of nearly a dozen police officers and the brother-in-law of then-mayor Coleman Young of Detroit. Operation Backbone was an FBI sting operation. An undercover FBI agent was posing as a big-time Miami cocaine dealer who needed police protection for drug and money shipments moving through Detroit. FBI agent Herman Groman, who had been Rick Wershe’s “handler” when Wershe was working as a paid informant in the Curry Brothers cocaine case, visited him in the state prison in Marquette and asked him to vouch for the undercover agent to Cathy Volsan Curry, Wershe’s onetime lover. She was the niece of Detroit mayor Coleman Young. Wershe contacted Cathy and said one of his “connects” from Miami needed police protection for dope and cash shipments, and his “connect” was willing to pay the police for protection. Ms. Volsan Curry was known to be close to Sgt. James Harris who was a member of Mayor Young’s security detail and friend of her father, Willie Volsan, the mayor’s brother-in-law. Cathy turned to her father with Wershe's request and Wilie Volsan in turn arranged for help from Sgt. Harris and other police officers willing to aid a dope dealer for cash. Harris, Volsan and the other officers were eventually convicted and sent to prison. Operation Backbone was a very large feather in Stephen Markman’s cap and Richard J. Wershe, Jr. played a key role in putting it there. When Rick Wershe returned to Detroit to help the federal government prosecute drug-related crimes—again—Markman’s office made two promises Wershe argues are critical to his continued imprisonment, which is the issue now before the Michigan Supreme Court. Wershe says Assistant U.S. Attorney James King told him he would “go balls to the wall” to help him with his state case if Wershe would just help prosecute the Best Friends murderers. Wershe did his part but he contends King broke his word, a commitment in behalf of the U.S. Attorney’s office, to help him get his life sentence reduced. The result is self-evident. Wershe is still in a Michigan prison. Wershe believes case law is on his side regarding a prosecutor breaking his promise. As a practical matter there is very little, if anything federal prosecutors can do regarding a state prosecution. The second key issue which arose while Markman was the Detroit U.S. Attorney was a formal agreement signed by Wershe and Assistant United States Attorney Lynn Helland, which states whatever information Wershe provided to federal investigators would not be used against him. Wershe has a signed agreement about his testimony and cooperation. But does it cover all of his help for the federal government? Wershe believes this agreement applies to all of his cooperation with federal investigators. But the letter specifically addresses his cooperation in the police corruption case and it commits the federal government to moving Wershe out of a state prison and in to a federal “WitSec” (Witness Security) prison because of his cooperation in the police corruption case. Whether that agreement applies to other cooperation such as Wershe’s grand jury testimony in the Best Friends prosecution is debatable but it's a debate Wershe wants to have. Wershe's Memorandum of Understanding with the U.S. Attorney's office in Detroit about his cooperation in the FBI's Operation Backbone was agreed to while Justice Stephen Markman was the head of the office. Wershe argues his federal grand jury testimony in the Best Friends case was used against him at his 2003 Michigan parole hearing. 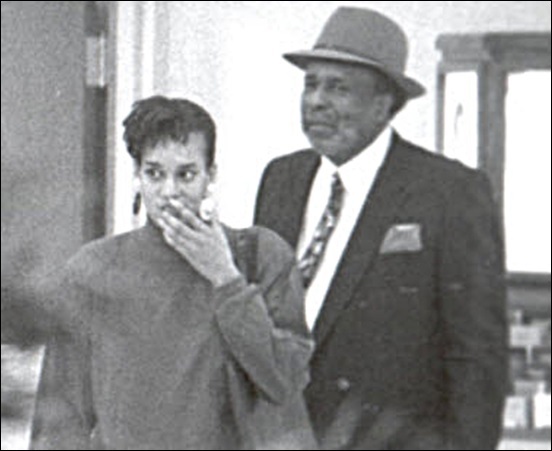 One of the witnesses, former Detroit Police homicide inspector William Rice, who is now in prison on fraud and drug charges, signed a sworn affidavit stating an assistant Wayne County prosecutor had given him a copy of Wershe’s grand jury testimony to review before testifying against Wershe at the parole hearing. That grand jury testimony was never unsealed by a federal judge. Release of grand jury material under seal is a felony. How the Wayne County Prosecutor’s office obtained a copy is a key issue in Wershe’s argument that there were improprieties in the U.S. Attorney's office and the Wayne County Prosecutor's office regarding the use of his grand jury testimony against him in the 2003 parole hearing. In his time as the U.S. Attorney for Detroit, Justice Markman demonstrated a willingness to prosecute controversial cases including police corruption. His reputation in that regard is well-earned. Some might ask why I am bringing this up. Wouldn’t Justice Markman look favorably on Wershe for all the help he gave Markman’s office in the early 1990s? Maybe. Maybe not. That assumes Markman remembers Wershe’s role in several of the big cases that were prosecuted on his watch. Wershe interacted with Markman's staff attorneys, not Markman himself. If Justice Markman doesn’t remember the help his office got from Richard J. Wershe, Jr. he may look at Wershe as just another lifer looking for a break. It would be better for all involved if Justice Markman avoids controversy in this high profile case by recusing himself from deciding whether Richard J. Wershe, Jr. is entitled to be re-sentenced.